The climate of immigration law has become an increasingly turbulent one in the last few months. Persons who had previously felt secure in their ability to stay in this wonderful country of ours now have to consider the immigration consequences of their actions much more seriously. Particularly those who have been charged with criminal offenses. So, too, does any criminal defense attorney who represents a non-citizen in a criminal case. For the purposes of this article we will focus on criminal offenses and what duty a defense attorney has when counseling a client on the possible immigration consequences of pleading guilty to a charge. There are many possible immigration consequences that can arise out of a criminal conviction. The most common are removal from the United States (deportation), denial of entry into the United States (inadmissibility), subjection to mandatory detention, and denial of naturalization or citizenship. In many cases the immigration consequences are much more severe than the criminal sentence. As a result, it is important that any non-citizen facing criminal charges be aware of all of the potential consequences. The United States Supreme Court has already held that a defense attorney has a duty to inform a non-citizen of the immigration consequences of a guilty plea, if those consequences are clear. That case, Padilla v. Kentucky, was decided in 2010. It made clear that a criminal defense attorney that gives a noncitizen client inaccurate information about the possible immigration consequences of a guilty plea has failed to adequately represent their client. In Padilla, the defense lawyer both failed to tell his client that a conviction might result in deportation, and directly told his client that he didn't have anything to worry about in terms of immigration because of how long he had been in the country. The defense lawyer was absolutely incorrect, and the Court noted that the lawyer could simply have looked at the statutes and seen that a conviction would almost certainly result in his client's deportation. The takeaway from Padilla is this: a defense lawyer representing a non-citizen must inform the client of the immigration consequences of a guilty plea, if those consequences are clear. They must also inform the client that they may be face immigration consequences if the consequences are not clear. While the United States Supreme Court did describe insufficient representation when the law was clear on whether a person would be deported based on a conviction, it did not address what is adequate representation when there is some question about immigration consequences of a conviction. The Minnesota Supreme Court did recently address the issue and set forth what they consider a criminal defense attorney's duties to be. In Sanchez v. State of Minnesota, the court was asked to determine whether a criminal defense attorney who had informed his client that he "may" and "could" face deportation for a sexual assault conviction had adequately represented the client and had fully informed the client of the consequences of a guilty plea. Statutory law was not clear on whether the sexual assault was an "aggravated felony" that was certain to result in deportation, or merely a charge that could result in deportation. The Minnesota court, using several different arguments, held that an attorney representing a non-citizen in a criminal matter in which federal immigration statutes clearly define the offense as one which presumptively leads to deportation need only inform his or her client that a criminal conviction might have immigration consequences. The attorney does not need engage in an exhaustive review of case law and administrative decisions to give the client a definitive answer. Any criminal case can have far-reaching and devastating consequences for the person charged. They can be even worse for a person who is not a citizen. If you are a non-citizen and have been charged with a criminal offense, no matter how minor, it is crucial that you hire a lawyer who will provide skillful and thorough representation so you know what you are facing and how best to deal with it. The lawyers at Olson Defense have experience dealing with the most serious offenses on the books and have obtained excellent results which allow non-citizens to stay in the country instead of being torn from their families and deported. 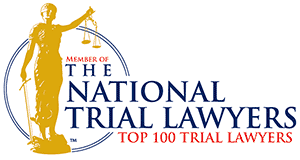 They also have experience evaluating the immigration consequences of criminal convictions and have the skills necessary to accurately advise you and help you reach the best possible outcome. 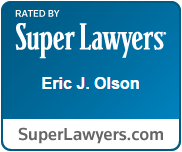 If you need a criminal defense lawyer in Minneapolis-St. Paul, the surrounding suburban cities, or out-state Minnesota, call Olson Defense today and make your first call your best call.